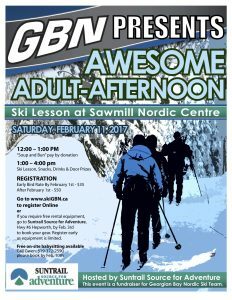 Hwy #6 Hepworth, by Feb. 3rd to register and book/size your gear. Register early as equipment is limited. 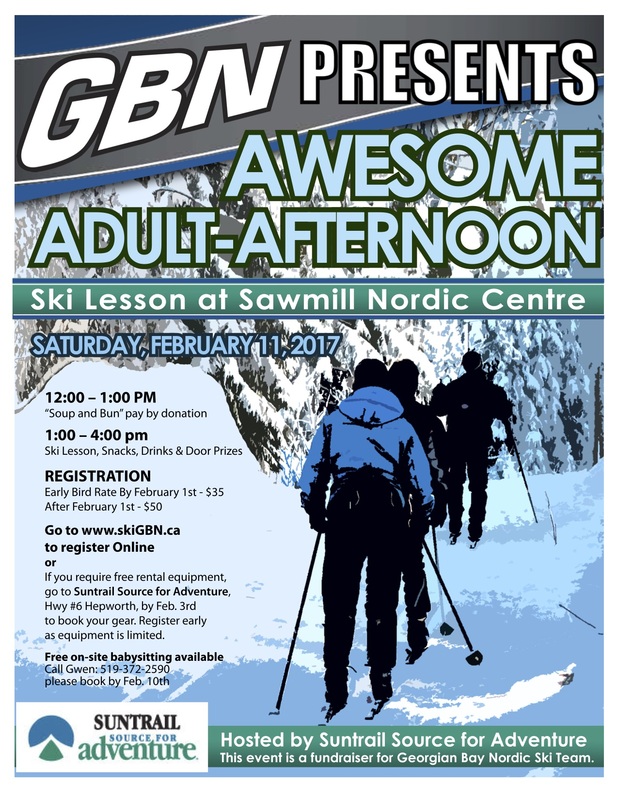 This event is a fundraiser for Georgian Bay Nordic Ski Team.